We offer a variety of different baseball and softball turfs both padded and unpadded. Batting cage turf, infield turf, batting mats, home-plate-halos, you name it! We offer turn-key design and installation for commercial baseball facilities (complete with netting and padding), as well as working with the home-owners that want their own “custom” practice area….indoors or out. 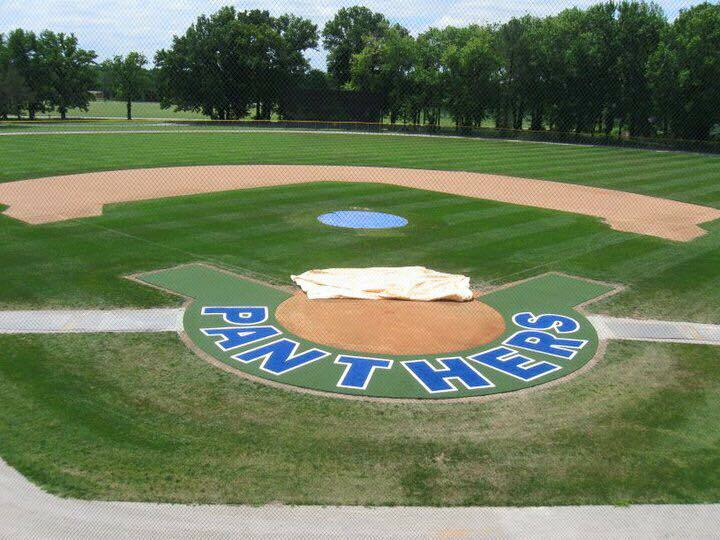 We are Chicago’s Baseball Turf Leader! We offer more styles to choose from than anyone at some of the best prices! 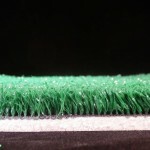 We have turf that comes in both 12’ and 15’ wide rolls and is available with and without a pad. Perfect for that large open warehouse space, pole-barn or basement! 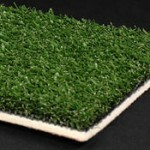 We can offer full installation or just sell you the turf for self-installation. This turf is perfect for the “temporary” batting cage….just roll it out when needed and roll it up when done! Our Baseball Home Plate Mat is a 6’ x 12’ mat made of durable turf that comes on a 5mm pad for the perfect balance between stability and feel. It has a pile height of 7/16” and a pile weight of 32 oz. per sq. yd. The primary backing is a stabilized woven polypropylene. On the home plate mat, there is a batter’s box on each side of the plate. The white batter box lines are made of white turf and are tufted in, not painted. The home plate is made of “flocked” material that will not wear off or fade in color. 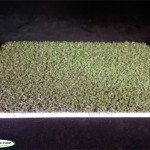 These mats are available in both clay and standard green colors. Softball mats are the same construction, just deeper at 7’. 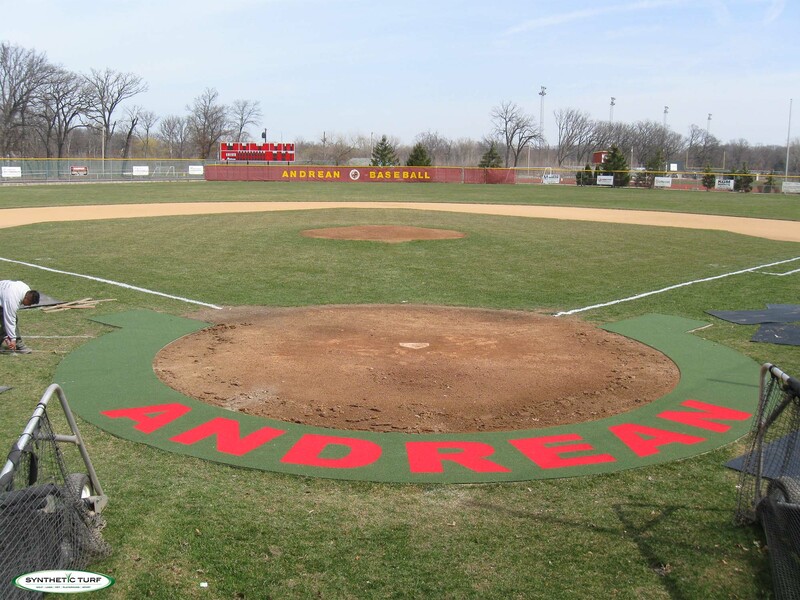 Synthetic Turf of Illinois offers a variety of different size home plate halos. Choose with or without wings, different styles of turf, and we even have color logos available. Home plate halos can be installed on concrete or an aggregate base. We service anywhere in Illinois and surrounding states. All products are available for shipment nationwide. Are you ready to get your game on with synthetic turf from STI?